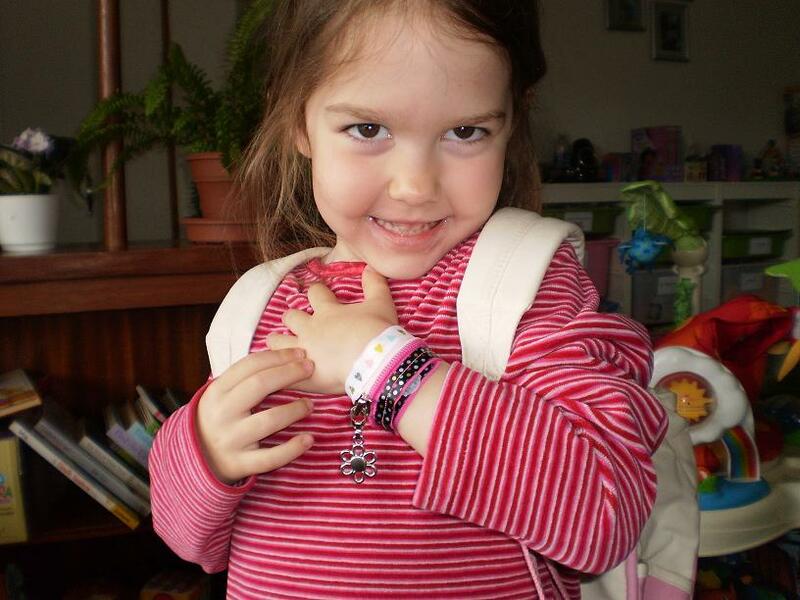 I recently won a set of Friendzip Bracelets from Mass Hole Mommy. I was so excited to win as I have been trying to win a set/or two for my daughter and her friends for awhile now. I knew they would be so cute and so much fun. I picked “Happy Hearts/Light Pink” and “Polka Dots”. What is Friendzip Bracelets you may ask? You take two bracelets and unzip them and put them together mismatching to create a matching pair for you & your friend. I was impressed from the opening of the package to putting it on my daughter’s arm. The bracelets were nicely & lovingly wrapped in pink tissue paper with cute pink heart stickers holding it together. Each bracelet was individually packed in professional packaging. 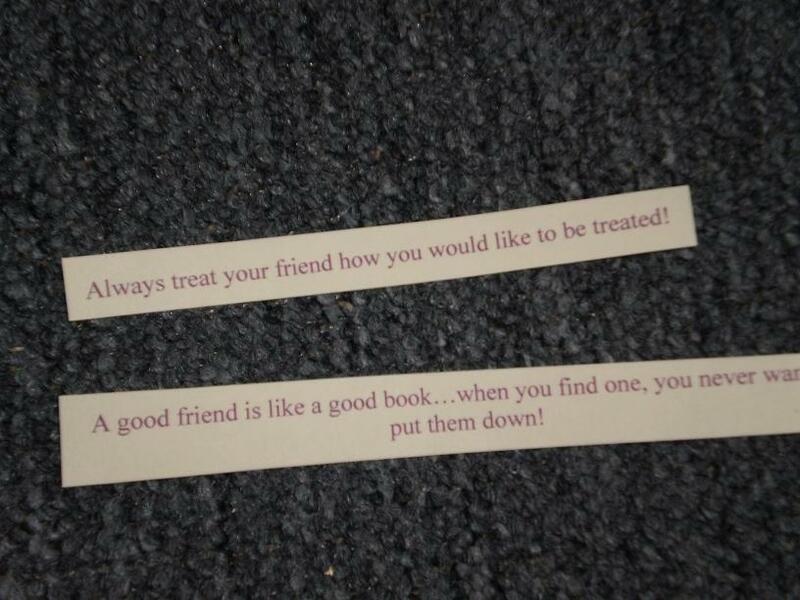 Upon opening each pack I found a little slip of paper with some encouraging says on it about friendship. 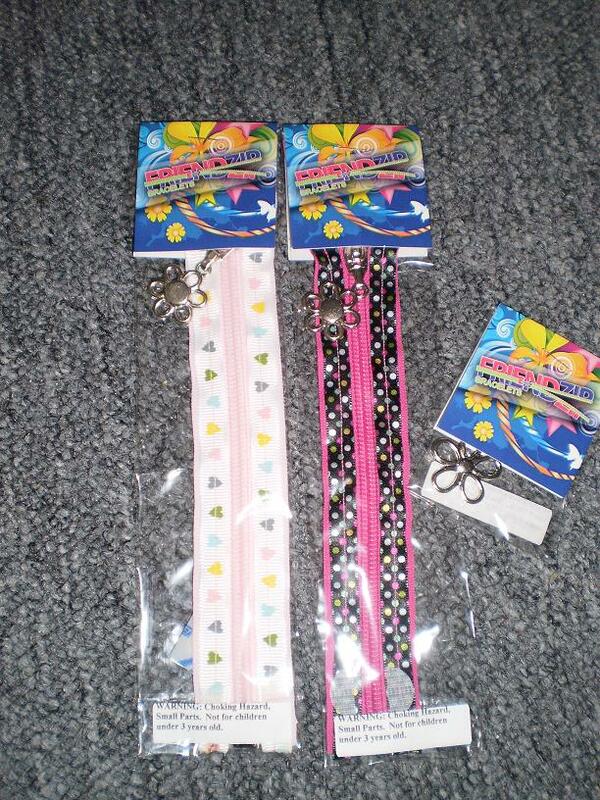 Each package also came with extra Velcro to easily adjust the bracelets to fit smaller arms. The bracelets are very well put together (sewn very well) and are very cute. My daughter asked if she could wear it all the time. I said “yes, but not in the water or in bed”. LOL. I thank Mass Hole Mommy and Friendzip Bracelets for letting me get these. I would definitely recommend these to my other friends with kids and I really hope to get at least one more set for my daughter. I think these would make perfect birthday gifts or even party favors.